What does sleep have to do with infection healing and wound healing? In fact, according to a recent article, when you sleep, your brain can attend to other issues within your body. When there are areas that need healing, the brain triggers the release of hormones that encourage tissue growth to repair blood vessels. This helps wounds to heal faster AND also restores sore or damaged muscles. While you sleep, your body can make more white blood cells that can attack viruses and bacteria that may interfere with the healing process. So if you are being treated for an infectious disease or a serious infection, getting enough sleep will be a critical part of your healing plan! In fact, when you don’t get enough sleep, your immune system is not able to properly protect the body from infection. So getting an infection in the first place becomes a greater risk. 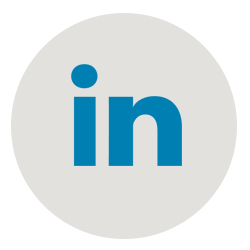 According to expert Infectious Disease and Wound Healing doctor Bruce E. Ruben, M.D. of West Bloomfield, Michigan, this is true for viral, bacterial, and fungal infections. 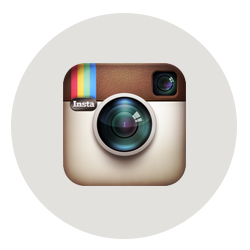 Dr. Bruce Ruben treats patients from all over Oakland County, Michigan. It is true that many of us struggle with the ability to get more sleep. We all have so much to do, we live busy lives and somehow sleep gets the short end of the stick. Afterall, that’s what coffee is for, right?! Well, putting all kidding aside, it’s important to consider sleep in infection healing and in wound healing. So now you know that good, restful sleep is one way that your body recovers from damage and protects itself against illness. If getting those zzzz’s seems like an arduous task, think of it as a “prescription”–one that comes from your own body’s desire to get better, heal, and to remain healthy. What’s sleep got to do with infection & wound healing? Congratulations to Dr. Bruce Ruben Who Received The 2018 Top Infectious Disease, Hyperbaric Medicine & Wound Care Specialist Award in Michigan! 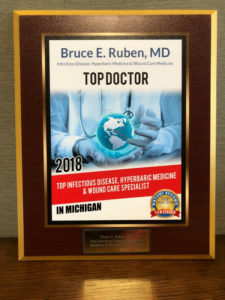 We are so proud of our Doctor Bruce Ruben who received the 2018 Top Infectious Disease, Hyperbaric Medicine & Wound Care Specialist award in Michigan! Dr. Bruce Ruben, internationally known as “The Wound Doc,” is the Founder and Medical Director of Encompass HealthCare and Wound Medicine. Board certified in Internal Medicine, Infectious Disease, and Undersea and Hyperbaric Medicine, Dr. Ruben pioneered outpatient IV therapy and outpatient wound care. To read about Dr. Ruben and his award, click HERE. Bruce E. Ruben, M.D., founder and Medical Director of Encompass HealthCare & Wound Medicine, West Bloomfield, Michigan receives 2018 Top Doctor Award. Ruben is also a member of the Medical and Scientific Advisory Committee and National Spinal Cord Injury Association (NSCIA) board, an advisory board member of WoundSource, and serves on the board of The Emily Stillman Foundation in the Detroit and West Bloomfield, Michigan area. Dr. Bruce Ruben is an expert in healing stubborn, non-healing infections & wounds. Offering services such as I.V. 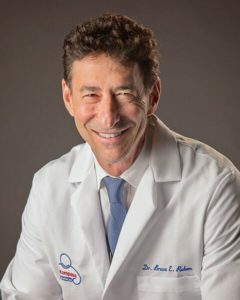 antibiotic therapy, hyperbaric oxygen therapy, venous ablation, manual lymphatic drainage, unna boots, skin substitutes & more, Doctor Ruben and his staff offer these services to heal stubborn bed sores, pressure ulcers, bacterial infections, viral infections, burns, & other medical problems. His medical contributions are unparalleled & remarkably, patients can refer themselves. 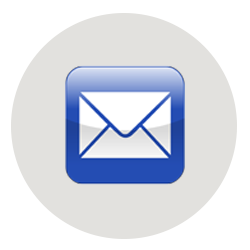 The office phone number is 248-624-9800 or Dr. Ruben can be reached through our contact form found HERE. Newly engaged Prince Harry & Meghan Markle request charity donations instead of wedding gifts. 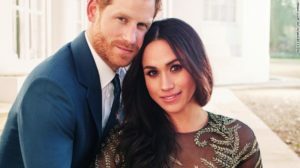 In fact the Royal couple chose seven charities which “represent a range of issues that they are passionate about,” the Palace said in a statement, including women’s empowerment, HIV, homelessness and the environment. We avoid amputation by delivering the most sophisticated wound healing technology to our patients…all outside of a hospital, safely at our in-house wound treatment center. Refractory osteomyelitis is a recurrent case of osteomyelitis. This patient has recurring or refractory osteomyelitis of his lower jaw. Osteomyelitis is a fancy word for bone infection and refractory osteomyelitis can become a problem if untreated. After the recent mumps outbreak at the Ohio State University and its subsequent spread beyond campus and into the community, it’s a good time to review what you can do to avoid contracting the infection, and what you can do if you become infected. 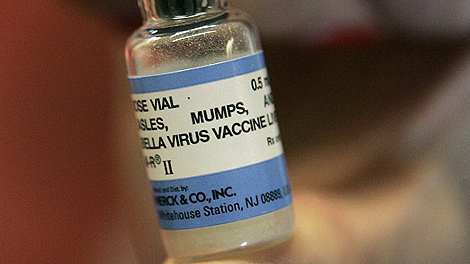 According to the Centers for Disease Control and Prevention (CDC), mumps is a serious disease caused by a virus. Symptoms include fever, headache, and swollen glands. Mumps infection can lead to deafness, meningitis (infection of the brain and spinal cord covering), painful swelling of the testicles or ovaries, and, rarely, death. Children should receive their first vaccine for measles, mumps and rubella at 12 to 15 months, and the second dose at 4 to 6 years. Mumps is a highly infectious disease that spreads the same way as a cold or flu does — through respiratory droplets when someone coughs or sneezes. It’s recommended that patients have five days of isolation after diagnosis. That’s the time period when the disease is most infectious. 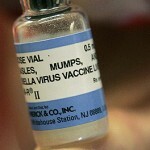 Two doses of the mumps vaccine offers immunity from the disease. It’s difficult to isolate any disease within a crowded university setting, which may be one of the reasons why the OHU outbreak was so widespread. Plus, in one-third of cases, there are no symptoms. So the disease can be spread unknowingly. There is no specific treatment; it’s a virus, so it doesn’t respond to antibiotics. Simply, it just has to run its course and generally resolves in one to two weeks. Stay at home if they’re sick to prevent spreading the disease. Avoiding this infection is a function of when were you vaccinated, how many doses of the vaccine you received and whether you ever had an outbreak of this virus. Having two doses of the vaccine is the best way to prevent contracting the illness. According to the CDC, all adults born during or after 1957 should have documentation of one dose of the vaccine. Adults at higher risk, such as university students, health care personnel, international travelers and persons with potential mumps outbreak exposure should have documentation of two doses of mumps vaccine or other proof of immunity to mumps. In general, you’re considered to be immune to mumps if you’ve previously had the infection, or if you’ve been two-dose immunized against the disease. 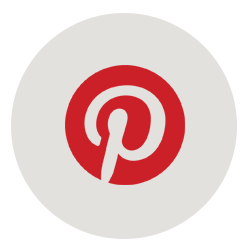 However, in the case of an outbreak, the CDC has issued guidance for considerations for use of a third dose in specifically identified target populations such as schools, colleges and healthcare settings. New to the world of fermented foods? What are fermented foods? Are they good for you? We own diabetic foot ulcers like Lebron James owns anyone who covers him on the basketball court. We have advanced knowledge of the game. We possess the mechanics. We’ve trained all our lives to produce at the highest levels of wound care. We’re driven to beat this insidious disease. We own diabetic foot ulcers. There’s no foot ulcer that we haven’t been able to cure thus far. That’s because sometimes the ulcer has little to do with the bandage that’s put on it and more to do with the malady underneath it. That’s right….wound medicine goes a lot deeper than fancy bandaging. It goes into usual unchartered territories like infection, edema, poor nutrition (or just not enough protein,) poor circulation, and repetitive trauma. So the next time you hear about Encompass Healthcare‘s ability to heal a diabetic foot ulcer, think of our little “logo” guy on 6’8″ stilts, wearing the finest basketball court shoes money can buy.